This program allowed me to achieve my goal of expanding my global horizons through an immersive, international internship experience. It expanded my knowledge on international perspectives of sexual and reproductive health, practices used in rural medicine, and operations of international businesses. At the same time, I developed comfort in adapting to unpredictability and gained a deeper appreciation for Indian culture. The diversity of work I was exposed to during my time with FPAI gave me a glimpse into the grassroots approach to allow for the success of sexual and reproductive health education programs and clinic services. I shadowed the organization’s youth education program, sat-in on patient visits to understand common chief complaints and treatment methods, and assisted with developing their English marketing materials. This process allowed me to gain a strong understanding of the four pronged approach FPAI utilizes to ensure a holistic coverage of sexual and reproductive health (SRH) aid from adolescence to post-maternity. By engaging in these programs as an intern, I strenghtened my public speaking skills through initiating discussions about SRH with local college girls. I learned about the resource challenges in rural areas and urban slums. For instance, my team at FPAI cleverly structured patient flow in a small clinic space to maximize space usage and I had let the doctor use my phone flashlight as an alternative to an examination lamp when it was not operating. In addition to the internship, my independent research project to examine the socio-cultural and operational challenges affecting the sustainability of a family planning and reproductive health clinic in India was my first experience with conducting original research. This has helped me build and adapt my critical thinking skills to a different setting. I critically examined my surroundings and analytically thought about the patterns I observed in my personal interactions with locals. Working through the communication barriers with my managers and local women in the clinics taught me patience, how to find common ground through drawing pictures, and how to maintain a positive attitude. Working alongside locals allowed me to develop my cultural competency as I adapted to cultural norms such as the side-to-side head movement and greeting my elders with Namaste each morning. This trip also challenged me to become more comfortable with stepping outside of my comfort zone. Taking the risk to independently travel to another country taught me to be comfortable with unpredictability as my work schedule often shifted according to when programs were scheduled to take place or availability to gain access the location. I look forward to carrying this flexible and curious mindset forward into my future endeavors. Prior to this year, I had never travelled internationally before. As my first solo international trip, I was extremely nervous to embark on the journey to live and work in India for four weeks. My experience abroad came with many challenges including navigating a language barrier and making new connections to adapt to a city without familiar faces. But I could not be more grateful to have had this once-in-a-lifetime opportunity. Through living with the local women in my hostel and interacting with patients and workers in the clinic, I learned and gained a greater appreciation about regional customs. This trip has tremendously influenced my medical career aspirations by opening my eyes to the importance of public health initiatives. In the future, I hope to work with the World Health Organization to assist countries to strengthen local healthcare infrastructure. I was fortunate to visit India in a period where I could see three holidays take place. With the celebration of India Independence Day, Eid, and Ganesh Chaturthi, I was lucky to see the different public celebrations that occurred for each event including a parade on Independence and a quick visit to the largest Ganesh idol in Hyderabad. My favorite holiday was the 11 days of celebration for Ganesh Chaturthi. This is a Hindu festival that celebrates the god Ganesha, known as the lord of good fortune, wealth, and remover of obstacles. The festival occurs every year to celebrate the birthday of Ganesha. On the last day of the festival, people submerge clay Ganesh idols as a symbol of Ganesha returning to Mount Kailash to his parents Goddess Parvati and Lord Shiva. The largest Ganesha idol in Hyderabad! On my last night in the country, my friend Girisha from my hostel took me on a motorbike ride through the streets of India around midnight when most festivities started for the Ganesh immersion. While driving around our area, I was amazed at the number of people still out enjoy each other's company over a cup of ice cream or a late night drive-in burger. We even took a quick stop to check out a local ice cream shop ourselves. On every street we turned, there were families riding in cars and men enjoying some late night dosas from a street vendor. During the 11 days of Ganesh Chaturthi, each night was filled with energy as different people came into the city to immerse their idol in the local lake. After sunset, the traffic on roads dissipated as office employees settled in their own homes after a long day of work and another group of people took over the street. For miles and miles, the beating of drums and shouts rang throughout the streets as members from different neighborhoods loaded their Ganesh idol onto a truck and prepared for the trek to immerse the idol. Determined to see these processions myself, I convinced my friend to take us towards the highway that connected with Necklace Road (the way to the lake for immersing the idol) where we saw over 5 different groups of people celebrating Ganesh and making their way towards the lake. It was amazing to see the different styles of dance that each group used and the tradition carried on throughout generations as men of all ages participated in the dance. Some groups had a coordinated style of dance, rehearsing over and over again until everyone was in sync with each other and the beat. Others used a freestyle method, people shouting in joy and dancing in any way they could but still moving in the same direction towards the lake. In a way, the structure for the Ganesh idol immersion mirrors the structure of everyday life here in India. Despite the perceived chaos of traffic and the number of people present, there is an order - an unspoken process of getting things done and learned only through experience, observation, and preserved through tradition. That one of the things I learned in my time here was to fully embrace “going with the flow” and that has helped me achieve an unforgettable experience and along the way meeting incredible people. There is no doubt this past summer will have a special place in my heart. It played a huge role in solidifying my passion for research and introduced me to some of my now closest friends. Looking back, one thing I did not really touch base with on these blog posts is how my experience in India as an Indian-American was different from some of the experiences of the other SiSA Fellows. India was an obvious choice for my first truly solo international experience. I visited family members in Andhra Pradesh (a state on the east coast of India) along with my parents a couple times before. As a result, I expected to be able to easily adapt to the Indian environment and have the security of relatives living relatively close by. Little did I know that interning in Bangalore, Karnataka (a state in the other side of the country on the west coast) would be a lot different from my time in Andhra Pradesh, albeit in more good ways than not. For one thing, the weather was a lot more agreeable. Bangalore may be one of the best places to live in India during the summer for people not used to the heat. That being said, there were definitely those scorching hot days where we did not feel like leaving the lab, but, for the most part, Bangalore weather was rather pleasant. Furthermore, there were a lot of people my age at inStem, and I am not just talking about the other interns. inStem was house to a great many junior research fellows just a couple years older than me that had just graduated college. Because of this, I was able to experience the summer along with others with similar interests that were willing and had time to hang out outside of the lab. We took any chance we got to go out and explore the city. Living on campus was very convenient. Everything I needed to survive on my own was pretty much right there, from a source of food for all meals to recreational facilities to work out and have fun! For example, because the gym was so close to my room, I took advantage of that to go pretty much every other day, something I never did back at home. Unlike some of the other SiSA fellows, I had access to a dining hall where I could eat every meal for very cheap, because it was subsidized by the institution. Another advantage in being Indian-American was that I did not immediately stand out. Like any country, foreigners are often treated differently, especially in shops and restaurants. One time, I let it slip that I was visiting from the United States when I was talking to my barber. Later that day, I found out I was charged twice as much as I was supposed to for that haircut. Never again did I make that mistake. Language was one thing I didn’t think I would have all that much trouble with. English was relatively common and everyone at inStem spoke English, even though Hindi and Kannada were the more commonly encountered languages in Bangalore. Unfortunately, neither Hindi nor Kannada were languages I was familiar with. My co-interns and sometimes even mentors would tease me in Hindi because of this. Before long though, I got pretty good at understanding them, not because I got any better at Hindi but because I got very adept at reading body language. This one disadvantage quickly turned into quite the party trick. I would constantly catch them off guard by quipping back at them, sometimes even in Hindi. One thing though that I thought was hilarious was how I soon adopted the local accent. When I would call back home, my sister would always make fun of how much my voice had changed. After coming back to the States, though, it seems my voice is back to normal, although the accent leaks back out every now and then. Overall, I very much enjoyed my time in India, and I hope to visit again someday, whether it’s to research again or to simply site-see, because India is a truly beautiful country everybody should get to experience. *Supposed to be posted June 22nd I look around my empty room. This tiny studio apartment with the little kitchenette and cube like bathroom lays empty and my bed is bare. I’m exhausted as I spent the previous night and much of the early morning trying to fit my life her in Goa into my tiny blue suitcase. My flight to Varanasi is in three hours and I can hear the cab driver downstairs honking his horn to let me know we’re running late. I do a last minute scan of the room to make sure I haven’t missed anything before carefully pulling my stuffed suitcase and backpack out the door and into the cab driver’s hand. I duck back into my room for a final goodbye and immediately go to the balcony for a final scan of Calangute, Goa – my home for the past three months. Yesterday was my last day at the office and I will always remember my time at Sangath with fond memories. The other interns – all 7 of us girls--had formed a close bond during our shared time working here. I know I’ll miss going out and exploring Goa with them on the weekends, going to the beach, and just grabbing dinner after a long day at the office. I’m truly so grateful for this incredible opportunity I’ve been afforded this past summer. Sangath has such a welcoming environment for interns and it helped shape a 3 month program that would build my skill set and experiences while still making sure the work I provided Sangath was useful to their research endeavors. I made so many friends and connections here, my mentors and their guidance, whom I have to thank for such a enriching experience and helping me realize my professional goals as well as addressing gaps in my own understanding of what it means to treat mental health from a global perspective. And I’m grateful to all the friends I made in the office who shared with me their home here and made my stay feel very personal and comfortable. I hear the driver honk again and I rush out into the waiting cab. I miss my home in Michigan and I’m excited to explore the rest of India, but now I know after 3 months in Goa that a little part of me will always remain here. *Supposed to be posted June 15th This is my last weekend in Goa and luckily I had a visitor to share it with me! 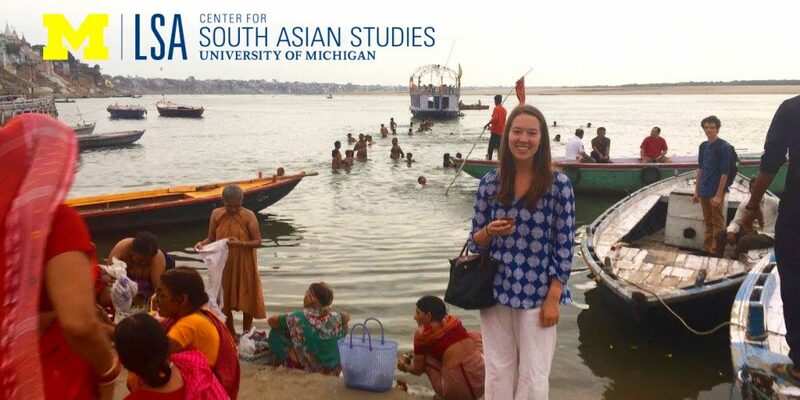 Brianna is also a student from the university of Michigan who is conducting an internship this summer in India at a PHC in Delhi. She flew down to Calangute to stay with me for the weekend and we went out to a great local restaurant right on the beachfront. Souza Lobo is a famous restaurant located right on Calangute beach. It’s been open since 1932 and boasts fresh caught seafood, Goan dishes, and live music every night. It was some of the best prawn curry I’ve had since arriving in Goa. The next day we took a day trip into Anjuna. It’s another costal town about 20 minutes north of Calangute and boasts some spectacular local artists and cute café/boutiques. We stopped by at Artjuna for brunch –it’s a Portuguese styled café venue that serves both local and international dishes that focus on local produce. They had a shop attached that sold local artwork such as wood carved trunks, jewelry, and cloths. We spent much of the day exploring Anjuna. One of the things I adore about this place is all the lush greenery surrounding the town; it makes it feel like you’re smack in the middle of a jungle and only coming upon pockets of inhabitants. I love it especially during monsoon season, when all you can smell is rain, fresh soil, and the ocean, being in Anjuna is like no other experience. After three months of staying in Goa, going out alone can still feel daunting, especially when you’re bogged down with work and you just can’t seem to get yourself out of bed on the weekends. But I’m glad I got to hang out with Brianna and get to see more of Goa. It was a fun and relaxing last weekend, one that I am happy I got to share with another wolverine! *Supposed to be posted June 27th Today I woke up 3 hours before I usually do to catch a ride with my coworkers into a rural community in northern Goa. This was my first field experience since coming to Sangath and even though the sun was barely up, I felt excited that I would finally be able to see mental health work in action in the field. Three of my coworkers who were also trained lay health workers were tasked with conducting training for the Gatekeepers of that specific community. This is based off a task shifting model where in low resource communities, lay health workers and gatekeepers- people identified by the community to be important members that hold access and the trust of the community members—are trained to identify and give basic treatment for mental health illnesses and to point people to other resources and agencies that are equipped to treat them. In this training we spoke with Anganwadi workers of the SAFE Project on Helping hand course that would encourage the AWW and the self help group members to strengthen their general skills for communicating and referring the patients to Sangath and to other similar organization. It was a successful training conducted for 41 participants and received positive responses as well as a greater demand for similar trainings to be organized in more communities by the participants. I felt so lucky to help out on this vital part of Sangath’s services and to see all the hard work my fellow coworkers put into the training process come to fruition in the smiles and answered questions of the Anganwadis. I got to interact with the community members who come face to face these mental health issues and now are better equipped to give support and refer resources to those who did not previously have access to care. It’s an experience that I won’t likely forget anytime soon and one that I will carry into my professional career. * Supposed to be posted June 2nd I think one of the most poignant things about my internship is how at home I feel at Sangath. Everyone has been so welcoming and warm to me since the day I got here. They’ve made a place for me at the office with my own desk space and have provided me with two mentors to help guide me while I conduct research here. I’ve gotten to know my coworkers here through shared lunches from the shack down the road, team meetings, and daily tea breaks. Some of the other girls interning here have even showed me around Porvorim – taking me to great South Indian restaurants, the market place in Mapusa, and to some local beaches. I feel like I’m building strong friendships and a real sense of community among my coworkers here at Sangath. My mentors are leaders in the field of mental health work and I’m learning so from them through workshops, meetings, and observing their work. This converted bungalow seemed so daunting my first few days here, but now as it greets me in the morning, I can’t help but feel a sense of familiarity and excitement to see the office and dive head first into the work being conducted at one of India’s leading mental health research institutes. *Due to technical issues could not post on the correct date - supposed to be posted May 19th My first few days of my internship have ended and I reflect on how I arrived here in this tropical wonderland of villages. I had landed in India May 8th and stayed with my cousins in Mumbai before we all decided to make a family road trip down the western coast to Goa. It was an estimated 10 hour car trip through winding mountain roads and jam packed express highways. The almost 600km journey could not be attempted in one go so we stopped for the night at Kholhapur – a town midway that boasted beautiful temples and amazing local chicken dishes. The city is home to a beautiful black stone carved temple that resides on the eastern side of the city. Here thousands of people come from all over India to visit the beautiful Shri Mahalaxmi temple– the only relic still around in that part of the state that hadn’t been destroyed by the past. The next morning we packed up our bags and headed out to Goa. The second leg of the journey was beautiful and scenic. We drove through mountain roads and back tracks, my uncle and aunt wanting to make sure I could get the full scope of India from the rural villages to the sprawling forests and mountain ranges that line the western coast. It has been by far one of the best road trips I have every taken. I’d encourage anyone who is traveling in India to try to take at least one road trip – it doesn’t matter where (of course some places provide more scenic routes than others) but the important thing I learned from this trip is that I got to see another side of India I could have missed had I flown directly to Goa. I got to immerse myself in the natural beauty that encompasses this complex and eclectic state. I also got a brief introductory glimpse at the communities that form the true heart of Goa – the ones I hope to serve and get to know better during my internship. I've been back in Michigan for about 3 weeks now but it seems like parts of me are still left behind in Goa. I think about all this fellowship has provided me with this summer from the chance to travel half way around the world and live independently in another community, to that fact that I got to hands-on experience in the field what I hope will become a very big part of my future career. While at Sangath, I learned not only about global mental health, but also a lot about myself and where I can fit into the future solution of bridging the treatment gap. Throughout the internship I had valuable mentors that could provide me with guidance and support, a whole host of coworkers that were engaged and connected with the community and who could show me the parts of Goa that are often hidden behind the façade of being a tourist destination, and a talented and diverse cohort of interns that shared my passion to be a part of the solution. This internship not only opened my eyes to the gaps and ignorance of my own knowledge about mental health care in low and middle income countries, but it also allowed me to see how innovation plays into solving problems in countries that may not have the necessary funds or resources to care for their population. More specifically, I learned that I had a lot of skill gaps and knowledge gaps in the field of public health and this internship allowed me to understand that a lot of my learning will be done outside of classrooms and in communities that are facing these challenges everyday. Sitting at home as I write this, I realize how much I miss Sangath, the friends I made there, and the vibrant city of Calangute that I called home this summer. I hope that someday I can go back, but until then I am so incredibly grateful that I could complete this journey as it is definitely something that will stay with me for the rest of my life.